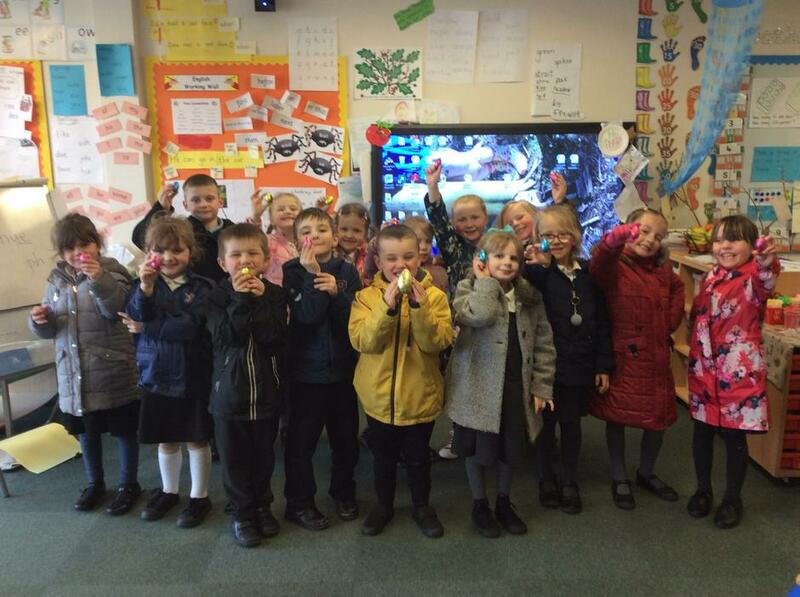 A massive WELL DONE to all of the children who read more than 40 times through the term and we had a lovely time on our Easter Egg hunt. The weather was beautiful and we had to search really hard to find the eggs. 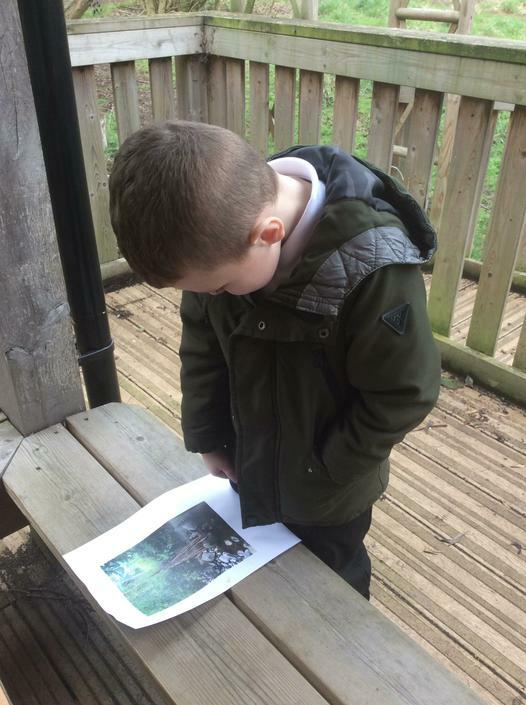 We also had great fun writing our own stories about the Enchanted Woodland and we made them into book and shared our stories with the children in the Nursery classroom. They loved listening to the stories and looking at the amazing illustrations. 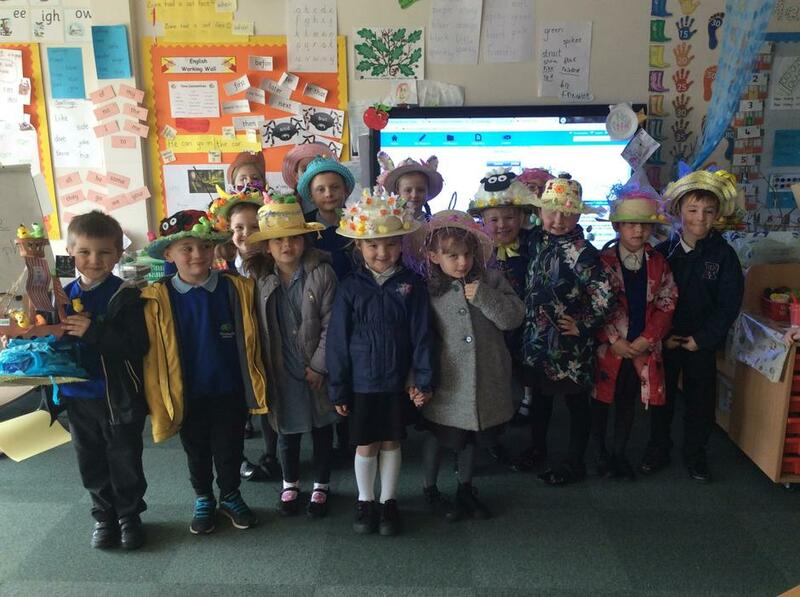 The weather was kind to us again as we did our Eater Bonnet parade around the streets. It was fantastic to see so many friends and family supporting the children and a lovely time was had by all. Thank you to all of you who supported the children with the amazing bonnet creations. Well done to Korby Cuthbert for being chosen as the winning design. 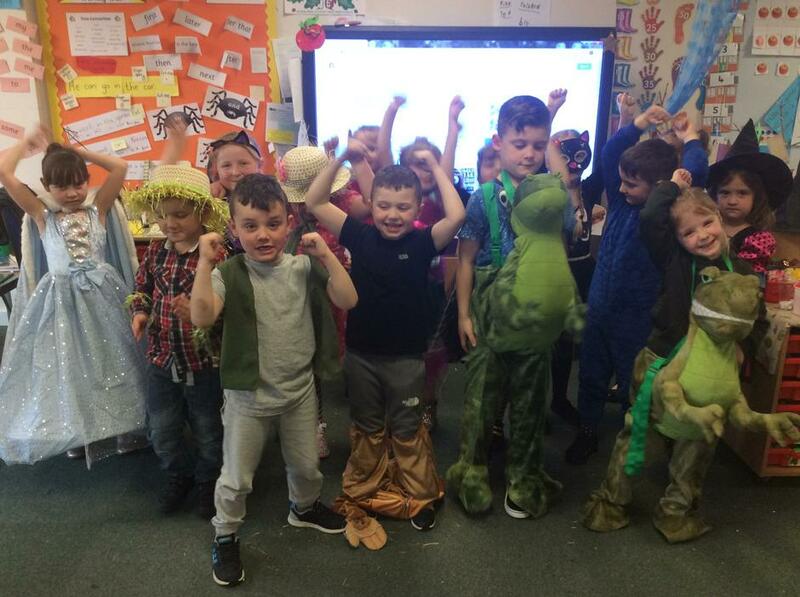 Please remember that the children need to dress up on Wednesday 24th April as their favourite Superhero to introduce our new project 'Superheroes'. We will be having a fun day with a superhero treasure hunt and doing some superhero crafts. Please join us to find out all about the Phonics Screening, what it is and how you could help your child at home. Have a wonderful Easter and Class 1, try not to eat too many Easter eggs all at once!! We'll see you all safe and sound after the holidays and I'm looking forward to finding out what you've been up to. Don't forget that there will be prizes for any children who have completed their alien and real words phonics sheet. In Maths this week, we've been starting to think about multiplying and we now know all about doubling and counting in equal groups. If you do want to work on anything over the weekend with your child, then counting in groups of 2, 5 and 10 would be fantastic. 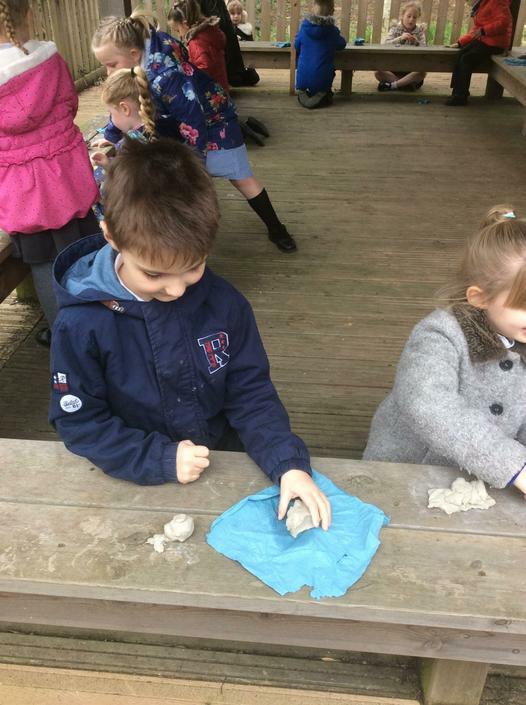 On Wednesday afternoon the Year 1 children went to the outdoor classroom and were given a piece of clay to create their woodland character for their story. 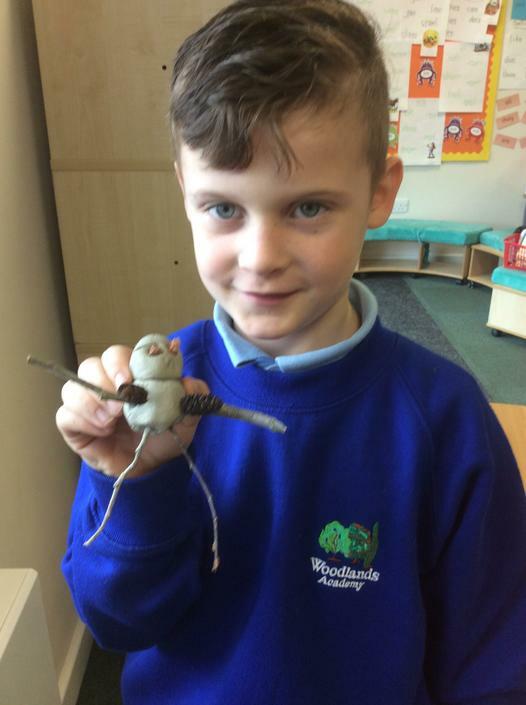 The children were able to use lots of natural objects that they found on the floor to make their characters more realistic. 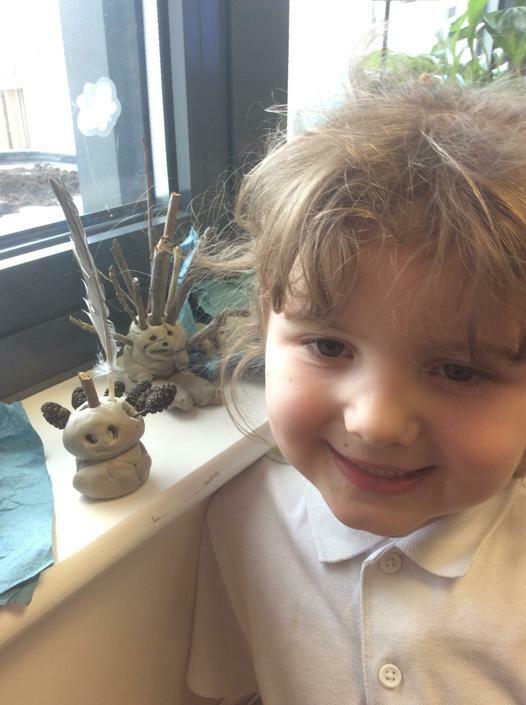 We had a great time hunting around and we created some fabulous models. What a great start for our story writing. We will be introducing our children to their new project for the Summer Term and the children will be asked to come in to school dressed as a Superhero. 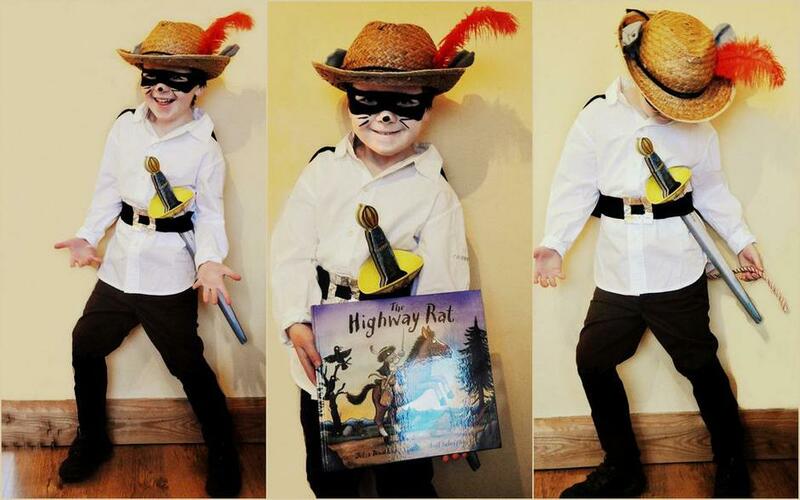 If you Google 'handmade superhero costumes', there are some great and easy ideas to copy. We've been busy watching our bean seeds growing this week. There are lots of leaves starting to poke out of the seed and the children have enjoyed labeling the parts of a flowering plant. We've done another 'HOT TASK' this week and the children have written their own set of instructions about planting their seed. Fantastic improvements. We've had a few children off this week but we hope all of the children are feeling much better and we'll have a better week next week. Some of the children have already reached the 40 reads needed to take part in the Easter Egg Hunt, but please continue to read with you child until the end of term. We will still be giving out our special 'Fab Five' reading stickers in assembly on Friday. Thank you for your help with this. What an absolutely fantastic week and what amazing things we've had going on this week. Our week started with a visit from Olympic athlete, Joe Roebuck, and the children listened really well in assembly as he told his story and how he continued to work hard when he didn't win all of his races. 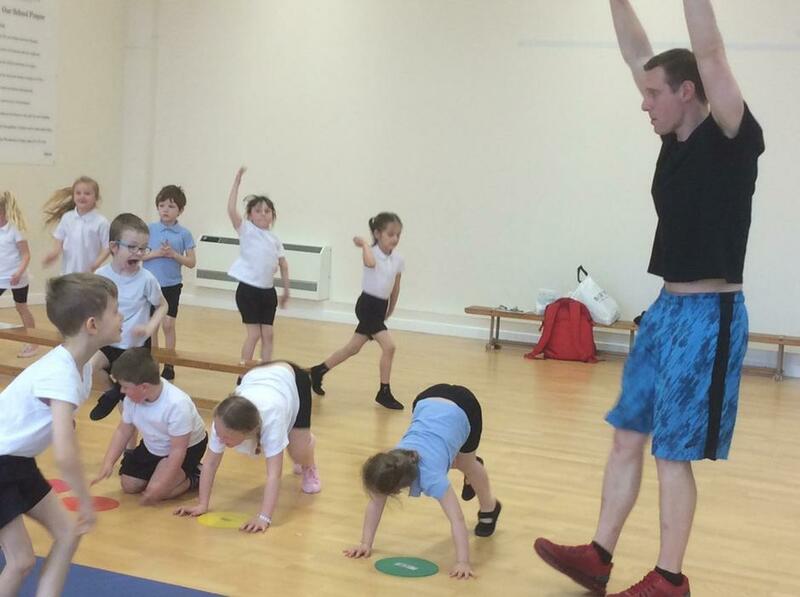 In the afternoon, Joe did a sports workout with the children and their were a few red faces as he put them through their paces. 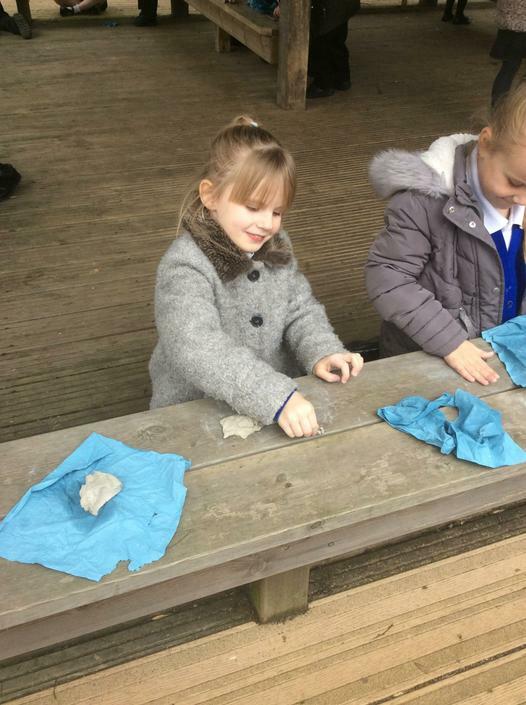 The children thought it was fabulous and their behaviour as always was exceptional. An enormous thank you and what a really great turn out for our parent share afternoon. The idea to having the afternoons in school is to allow parents to see a little of what we do in our classrooms. 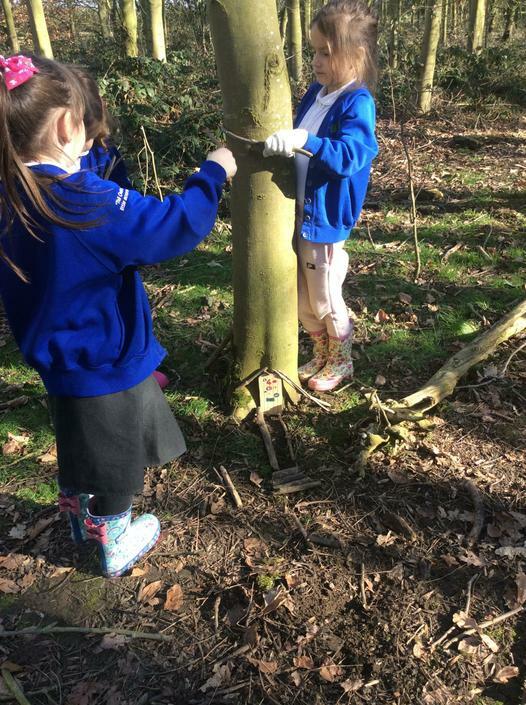 The children have been looking at the work of artist Andy Goldsworthy and with your help, you helped them to create some fantastic sculptures in the style of Andy Goldsworthy and they thoroughly enjoyed their afternoon in the sunshine. We really hope that you all did too and again thank you from all of us for your continued support in everything that we do. A school fashion show!!! Mrs Green and Mrs Curtiss had taken some children to do some shopping for outfits. The first job on Friday morning was to take my chosen fashion designers, Miss Lilah Brett and Mr Euan Newton-Walker, to choose my outfit for the fashion show. Well, within a couple of minutes, there was a lot of bling involved, a lovely straw hat, a black dress and a gorgeous pink cardigan!! Next job, was to turn my fashion designers into make-up artists. Green eye shadow on one side, pink on the other, lots of blue under my eyes, a number six and a house on one cheek and a triangle on the other. Very glamorous indeed!! 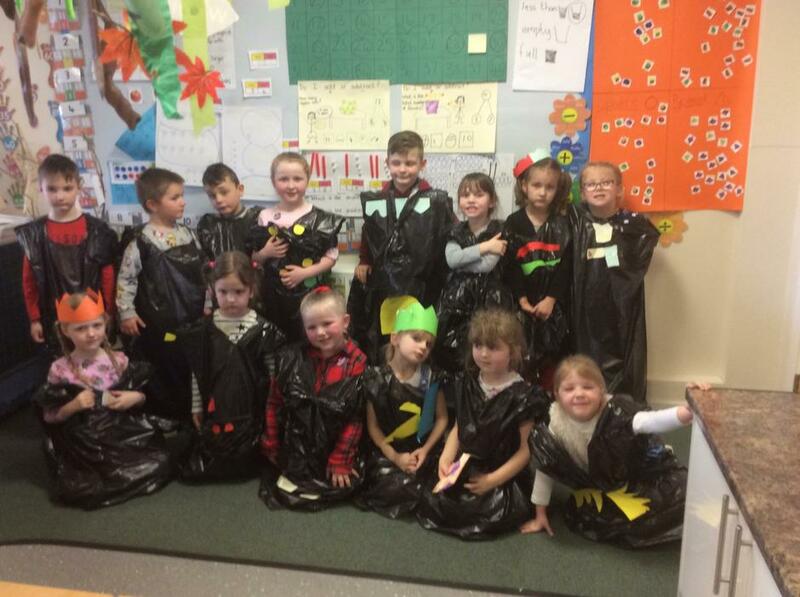 The children then spent the morning making their own outfits from a bin liner and adding loads of decorations to it. 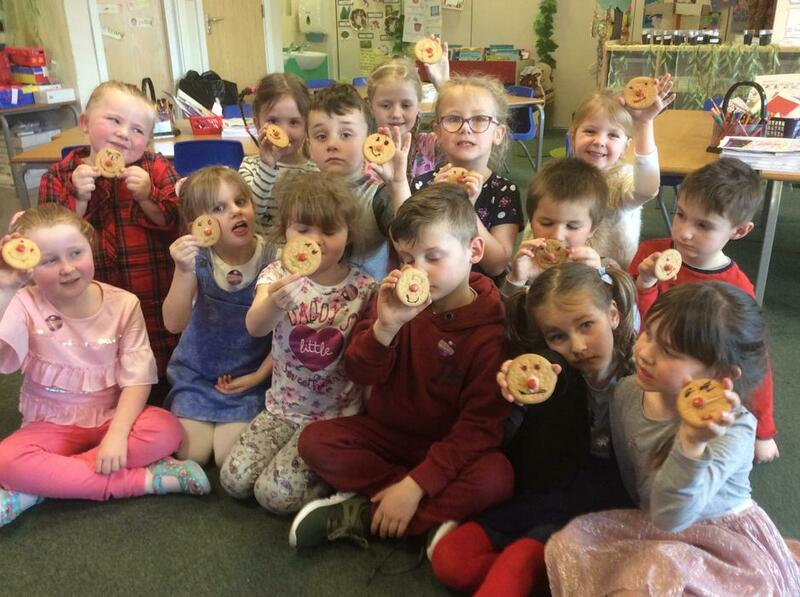 We even managed to make some Red nose biscuits and wrote about it for our English work. The best part was definitely eating the biscuits. The day came to an end with the staff fashion show, parading along the catwalk in our outfits and make up. Photos and videos of this are on the Grimsby Telegraph website. What a brilliant and fun day for the school and a great way to raise money for a fantastic cause. Thank you again for your support with this. 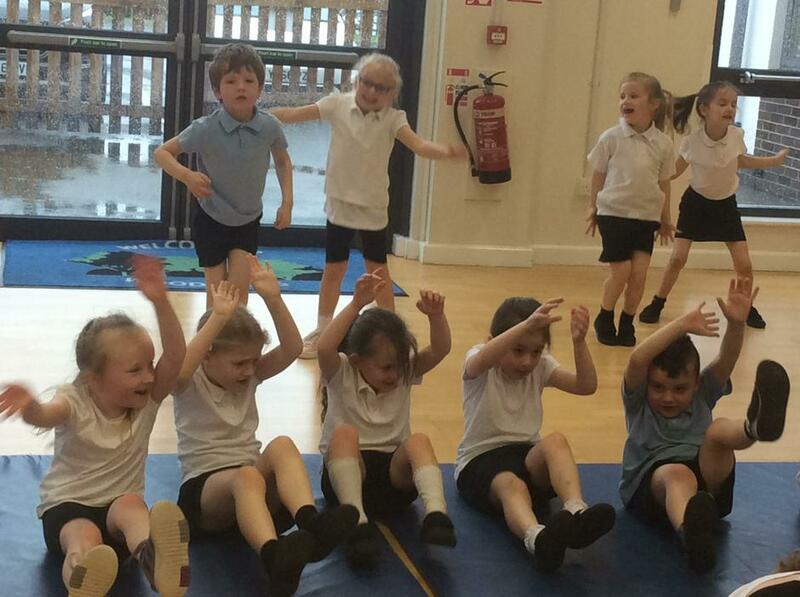 Another fantastic week in Class 1 and yet another really busy week. We've been thinking about number patterns this week and the children have been thinking about counting in groups of 10 and 2. Any help with this at home would be great, even if the children are just counting the groups of 2 (2, 4, 6, 8, 10, 12, 14, 16, 18, 20) and 10 (10, 20, 30, 40, 50, 60, 70, 80, 90, 100). Thank you for this. I think this was our best week ever for having children on 'green'. Please remember that the date for the Easter egg Hunt is getting closer (29th March)and the children will need their 40 reads to take part in this. Please continue to read with your child at home, it really is a great thing to do. 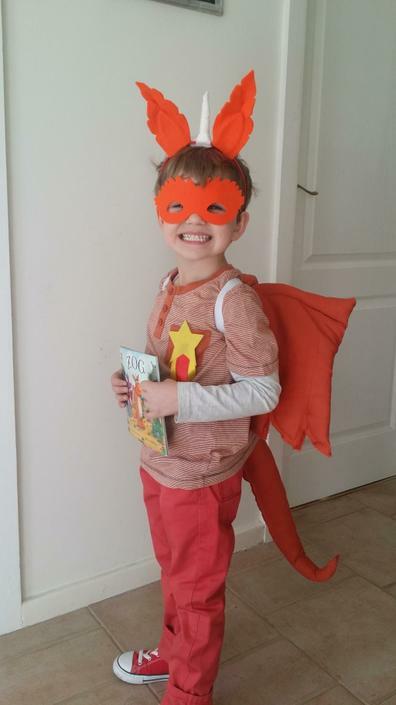 Thank you to you all for dressing up as Julia Donaldson characters and helping us to celebrate books. 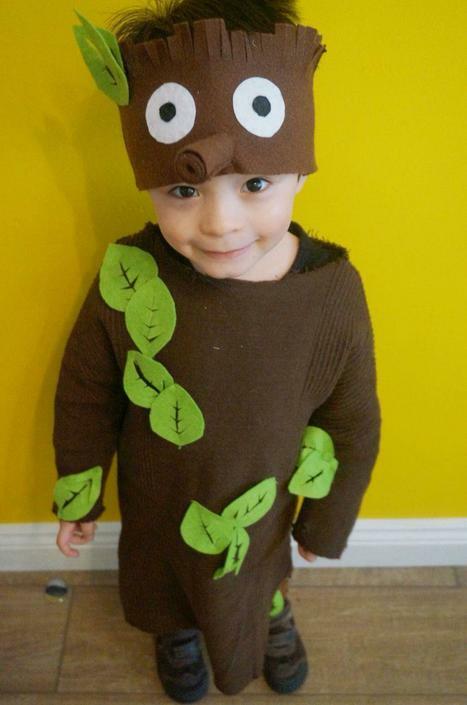 The children looked amazing in their costumes and they really enjoyed making the fox from the Gruffalo story. 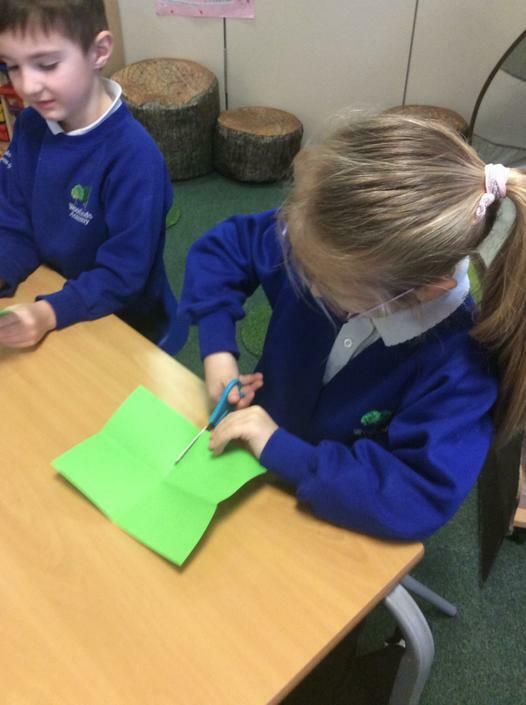 The concentration on the faces when they were making the paper dolls was brilliant. They were so desperate to keep their dolls together. Please remember to use the voucher that will allow the children to claim their free book. 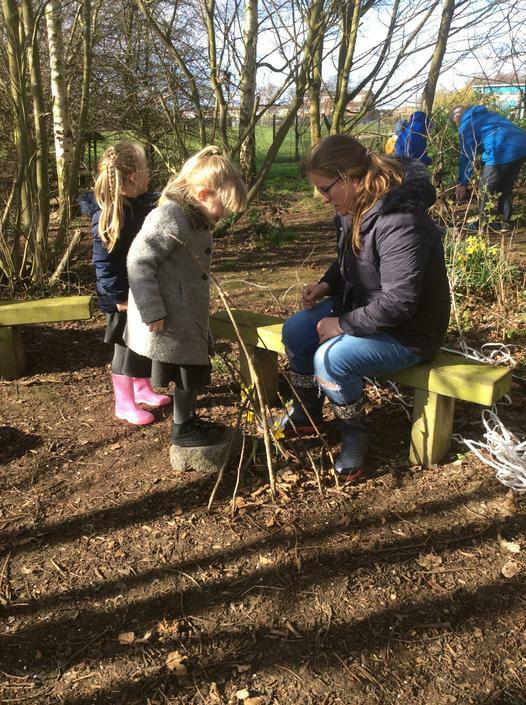 Please remember that it is our parent share afternoon on Wednesday where we will be going out to the Outdoor classroom and we will be creating some sculptures in the style of Andy Goldsworthy. Andy Goldsworthy creates sculptures using only natural materials. We set up the Out door classroom as an art gallery and enjoyed talking about the sculptures that he has created. We can't wait for you to help us create some of our own. Please dress up warm and it may be a little muddy so wellies may be the best footwear. 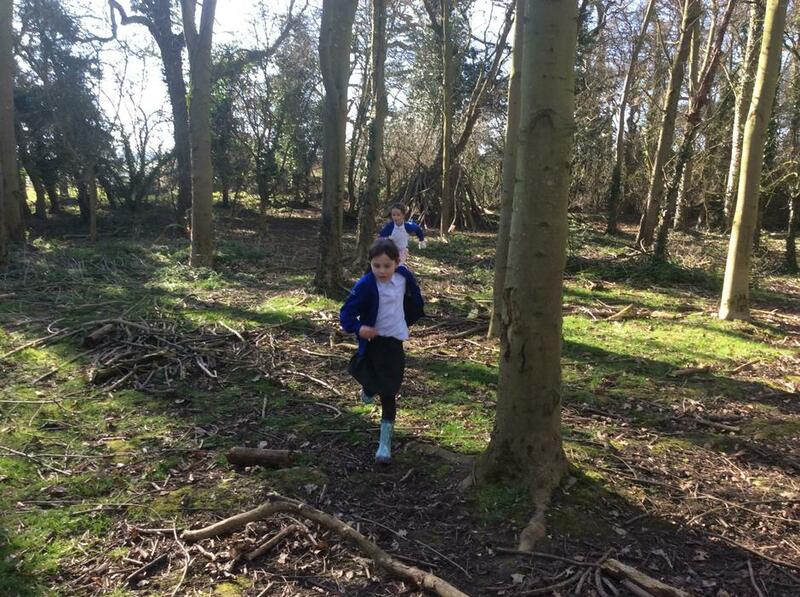 What a fantastic start to our new term with our trip to the Classroom in the Woods to launch our project 'Enchanted Woodland'. The weather was gorgeous and the children were amazing. There were lots of 'WOW' moments through the day. Mr Dawson and Grace, who supported us through the day, thought the children were superb. A real credit to our school. We hope you'll enjoy looking through the photos to share the day with us. 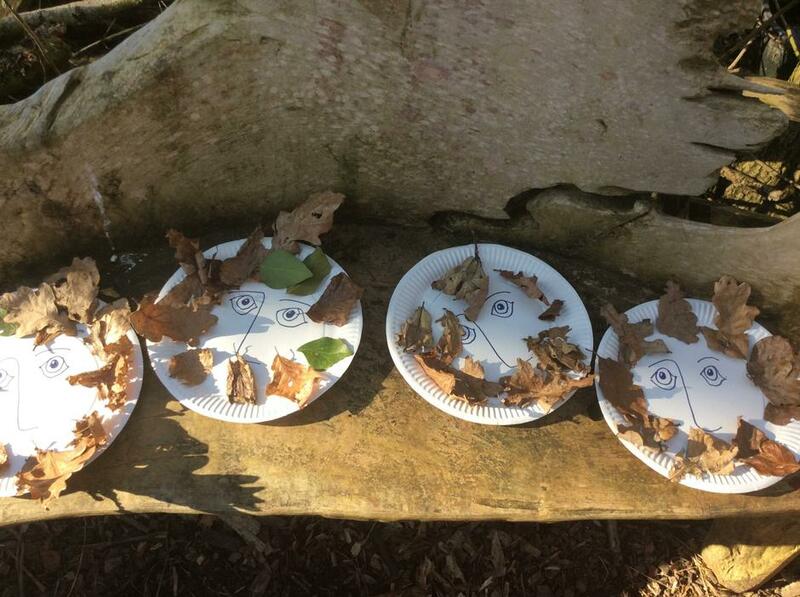 We went on a walk around the woods first to look at signs of nature. Lovely to see a small herd of deer so close to us. We did a bit of pond dipping. 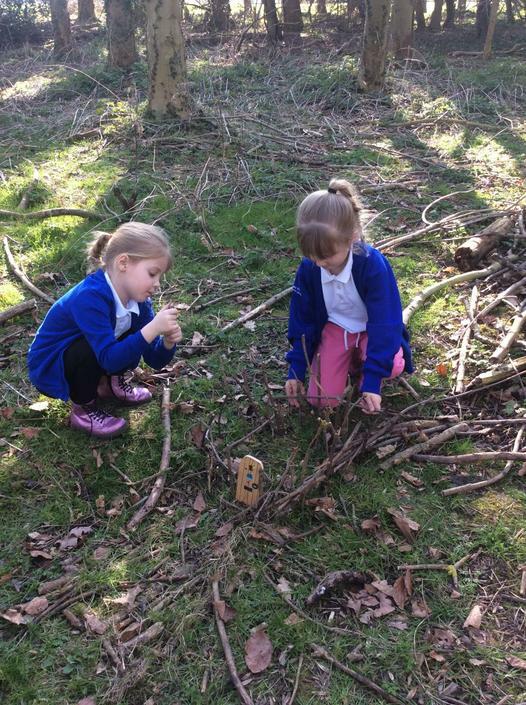 We spent the afternoon building a fairy house, creating woodland people and making a fairy catcher. A fantastic day for us all and a great start to our learning. I think this was our best week ever and we were so close to having 100% attendance for the whole week. Thank you for supporting your children with this. One of these weeks, we WILL win the trophy full of sweets!!! Just a polite reminder that the reading challenge for this term will end on the 29th March and the children need to have 40 reads by then so they can take part in the Easter Egg Hunt. That's definitely worth reading for. 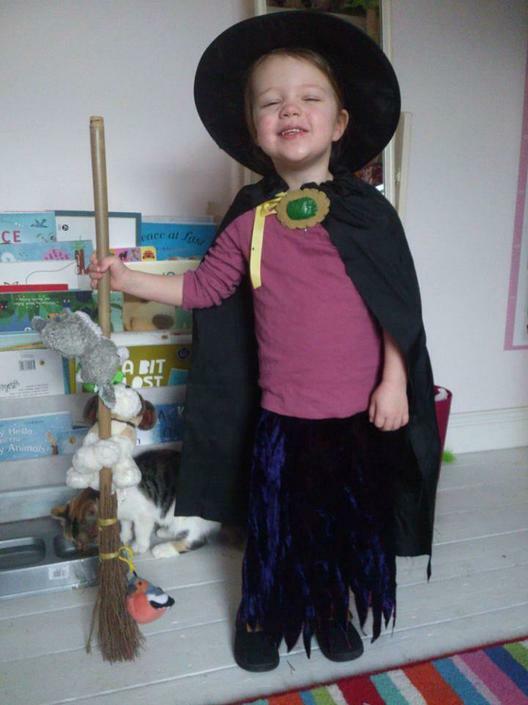 We've given the children the idea of Julia Donaldson books as ideas to dress up and the activities that we will do through the day will be linked to Julia Donaldson's stories. Please speak to the children to see what they come up with, but if you are struggling for some simple ideas, here are some suggestions. I do keep reminding the children about the Easter Egg Hunt for those children who have read more than 40 times before the end of term. (29th March will be the last day for counting). The children are making great progress with their reading and this is thanks to your support from home. We do give out lots of stickers for Fab Five readers in our weekly assemblies and dojos are awarded for each read a child does in a week so lots of encouragement and rewards. Our class parent afternoon will be on Wednesday 13th February from 2pm. 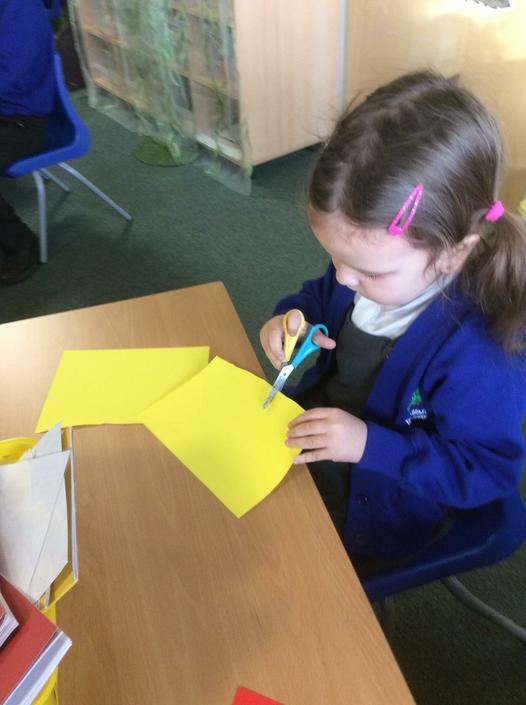 Please join your child to create their own rocket ship. These will then be launched into space on our end of project afternoon on Friday 15th February at 2.30pm. We look forward to seeing lots of you there. The children are very excited and have thought of some great ideas for rocket designs. 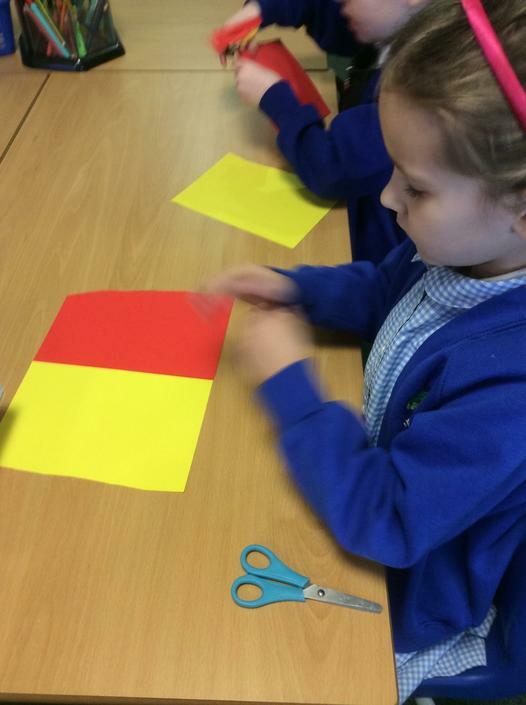 Last week the children were investigating halves of shapes in our maths work. This week started off by cutting a cake into quarters and knowing that each part has to be equal. The children did all get to eat a quarter cake afterwards which was definitely worth working for!! We've also been thinking about computers and how they follow instructions. 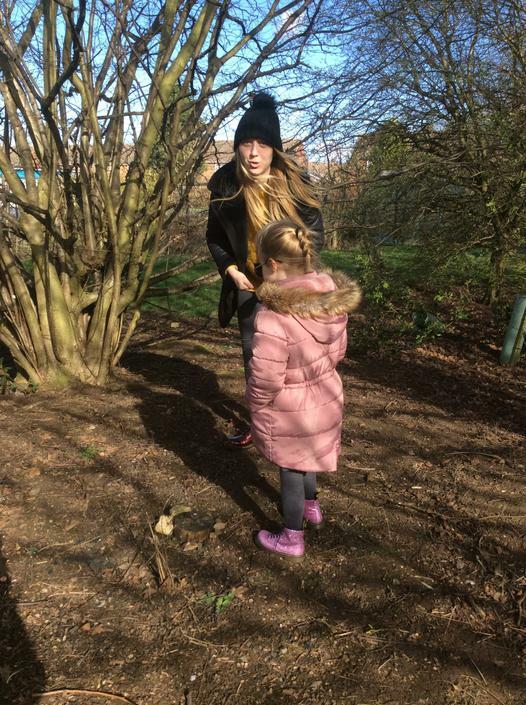 We had a cold but lovely afternoon outside trying to pretend that our friend was a robot and giving them instructions to get to certain places in the outdoor area and in the playground. We had to really think about our left and right to make sure the robots went in the right direction. The children have really enjoyed having bagels for their breakfast and what a great start to the day. 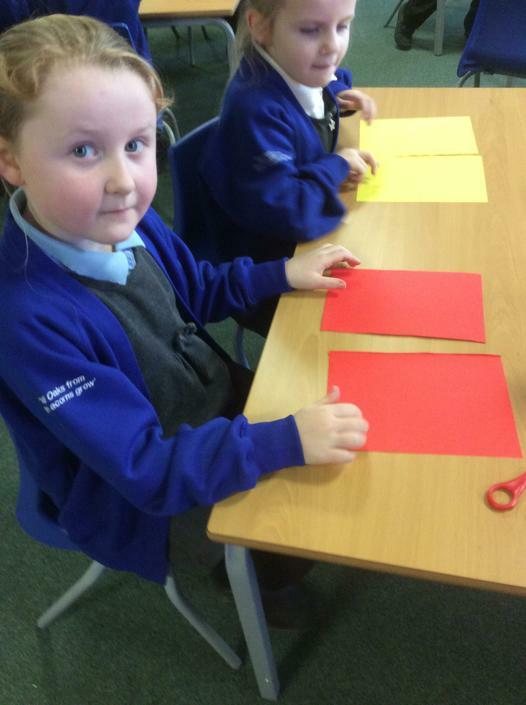 We've been thinking about making halves of shapes in our maths sessions this week and the children have enjoyed folding pieces of paper to make halves. 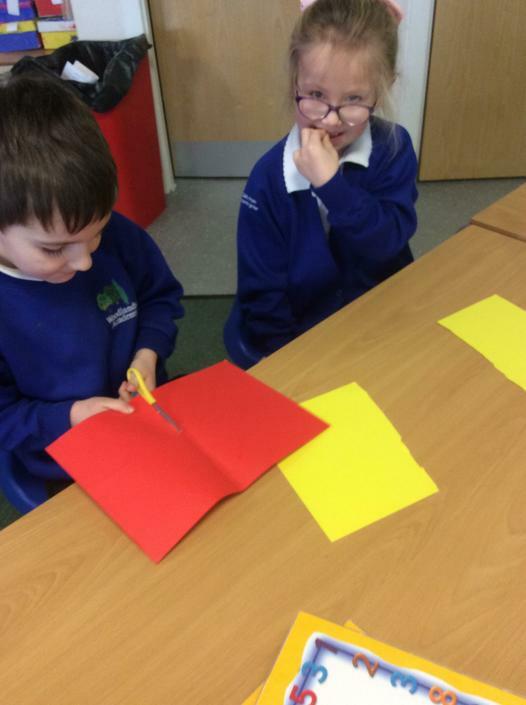 There has been some great investigating going on when they had to think about whether they could make a half of the paper in any other way. 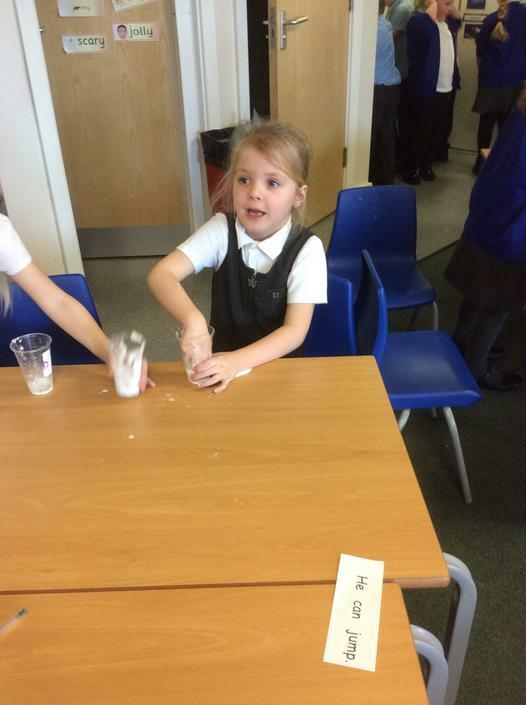 The children worked really well, working together and trying out other children's suggestions. 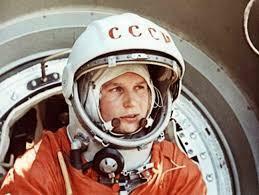 We've been learning about missions into Space this week and the children have been really interested in the life of Yuri Gagarin. We were even able to educate one of the other adults in school with all of the information we had found out. Ask them what they know ? Thank you to all of those parents who attended our phonic lessons on Monday and Tuesday. 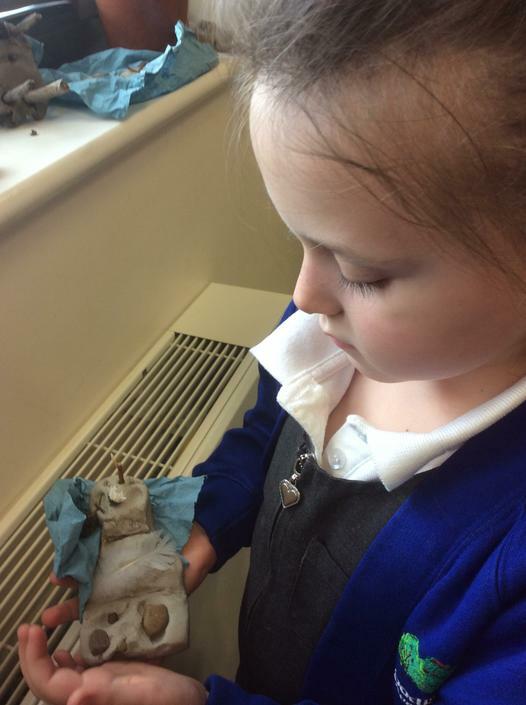 The children worked really hard and we hope it gave you a good idea about what the children are doing. If you do have any questions about what you saw please ask. Thank you again for your time. 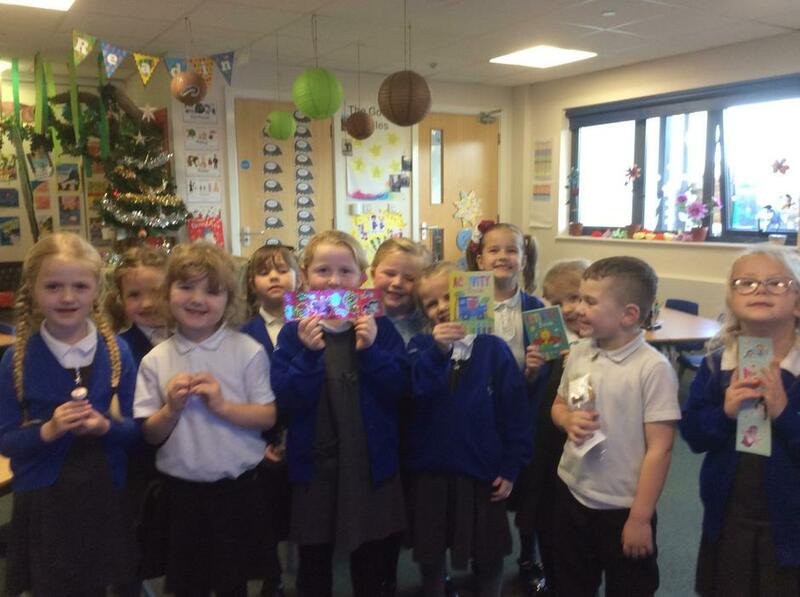 The children have come back after Christmas and are doing really well with the weekly home reading challenge. 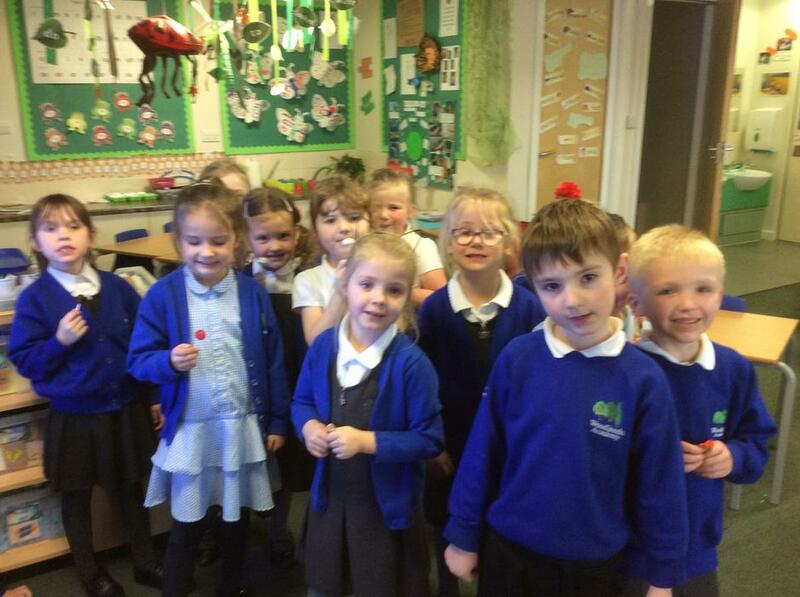 We had loads of 'green' readers (those children who have read four times or more in the week) again this week. Please continue to support your children with this. They are very proud of themselves when they are a green reader and this couldn't be done without your help. 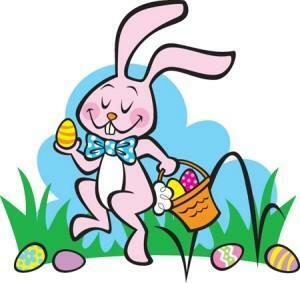 Please remember that children reading more than 40 times to Easter will be able to take part in our Easter Egg Hunt!!! Now that is really something to get reading for!! Let's keep trying. We will get there one week. 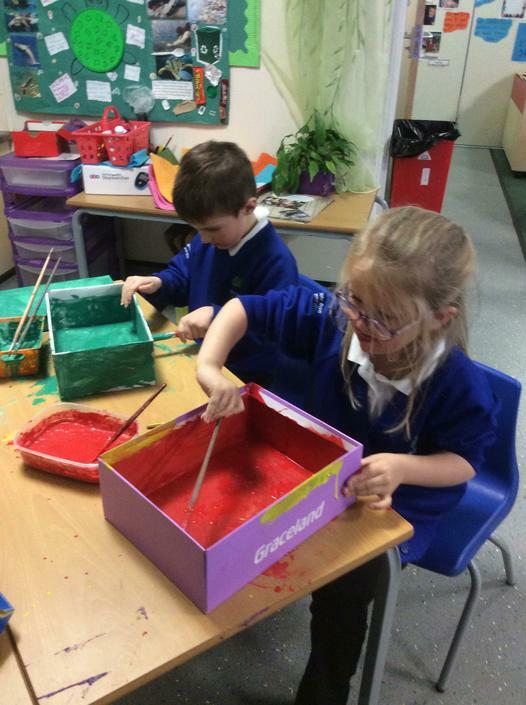 The children work really hard in class and we are always introducing new things to them. In the last couple of weeks, the children have had a go at their first cold and hot task in writing. We were wanting the children to write their own story so to start this off we just asked them to write a story with no support at all (the cold task). We then do lots of work in our lessons about what would make a good story and the things that we need to think about. After the two weeks we then ask the children to again write a story on their own, but this time to use the things we have taught ( the hot task). Class 1 have made me the proudest teacher ever this week when I looked at their new pieces of work. The progress that they have made in the two weeks is fantastic. Please ask if you would like to have a look at the work that your child has produced and the development in such a short time. You will be as proud as I am. 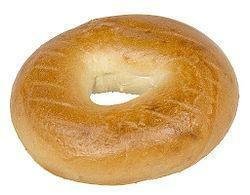 Please don't forget our Bagel breakfast starting Monday 28th in the playground from 8.30-8.40. Come along and the children can help themselves to a fresh bagel for breakfast. The children were very excited when I mentioned it to them in class the other day so I'm sure there will be lots of happy faces on Monday morning. 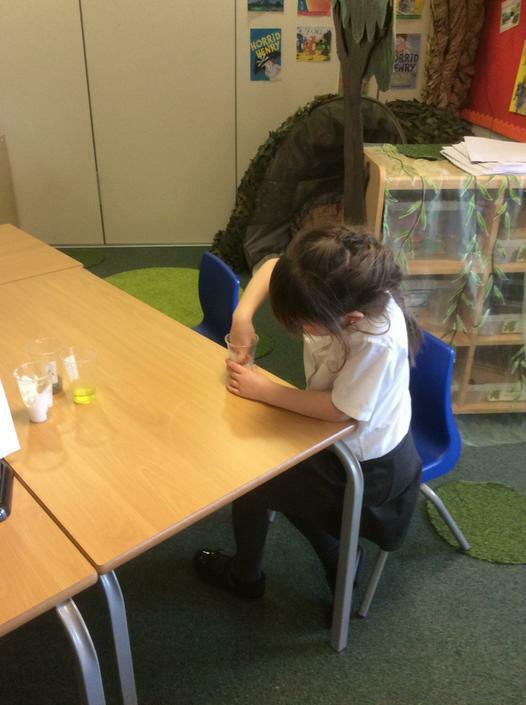 We've been really busy investigating materials this week and trying to identify what different things are made from. Please remember our phonic sessions on Monday 21st and Tuesday 22nd 10.15-10.45 am. Parents are welcome to come and watch a phonics session being delivered by teaching staff with a follow up session after school on Tuesday 22nd (3.15pm in the Community Room) for any questions you may have. Hope you can join us. Welcome back and a Happy New Year to all our children, parents and families. What a great start we've had to our new term. We've already had a gold star for our first week back so fantastic news for this and let's keep it going. 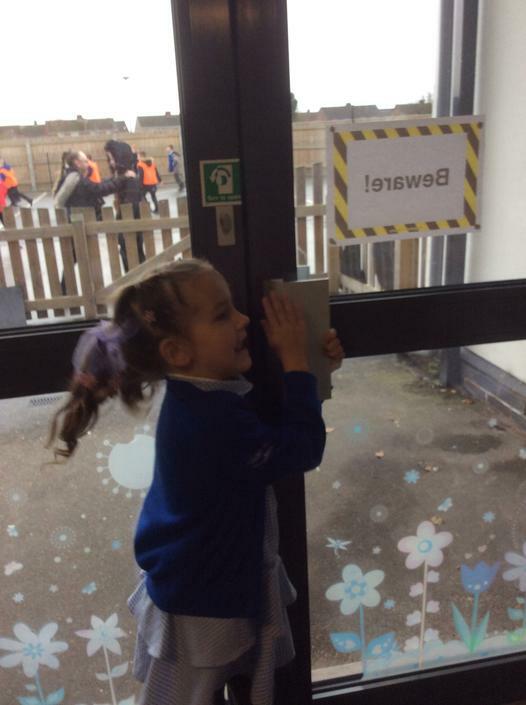 The children were very excited to see Mrs Curtiss sticking it to the door. Mrs Green has asked each of the classes to make a new year resolution and after we had a chat as a class, the children wanted to concentrate on our weekly reading challenge and try to get more green readers each week. It was a great start to the challenge and our promise to Mrs Green. 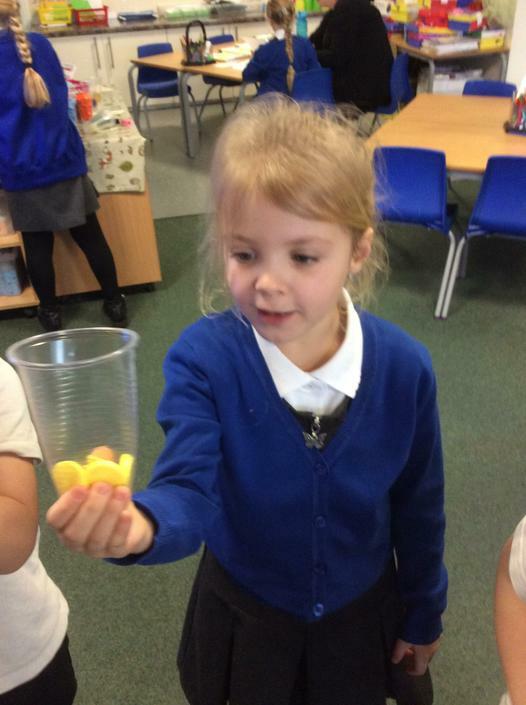 The children also know that if they have 40 reads by 29th March, they will take part in our Easter Egg challenge. That's definitely something to aim for and I'm going to make sure I get my weekly reads too!! What a fantastic launch to our new project with the children being visited by an alien. 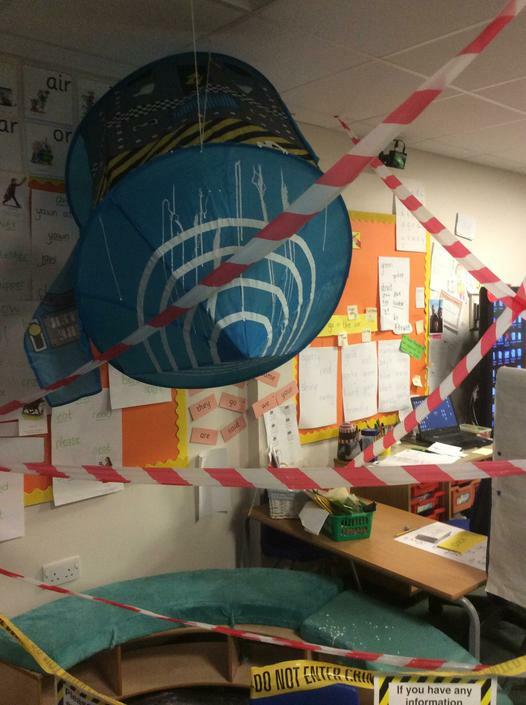 I can't believe that of all the places on the Earth, he managed to crash land his space craft in our classroom. We've got some very exciting things to find out about him. 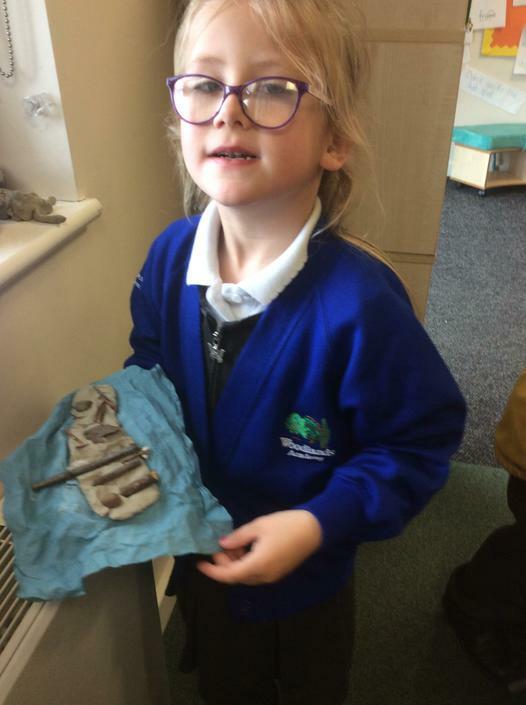 The alien left us lots of things that he'd brought down from space with him and the children had a great time investigating the different materials. Keep a look out for our alien. You never know where he might turn up. Our homework ideas sheet for this half term has been sent home. Please have a look at and see which activities you would like to do with your children. It would be great if you could complete them and we'll display them in the classroom. Thank you for your help with this as always. 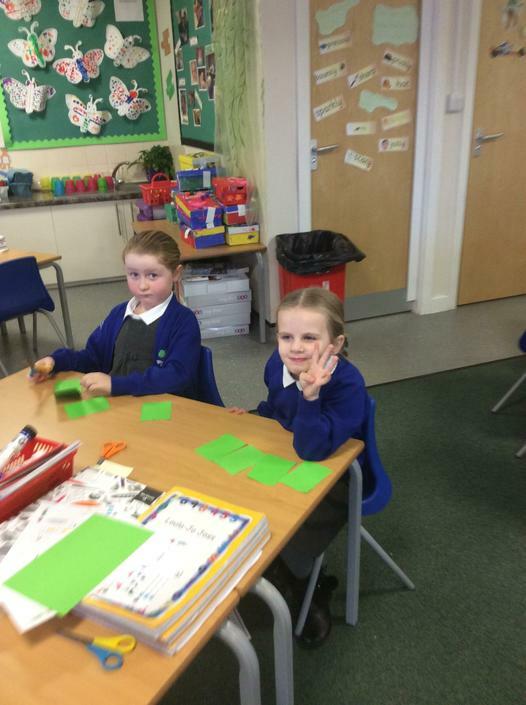 Another very busy week in Class and some great photos to share with you this week. A massive 'Well Done' to all of the children who sang their hearts out at the concert. Thank you to all of the parents and friends who supported the children and praised them for their hard work. 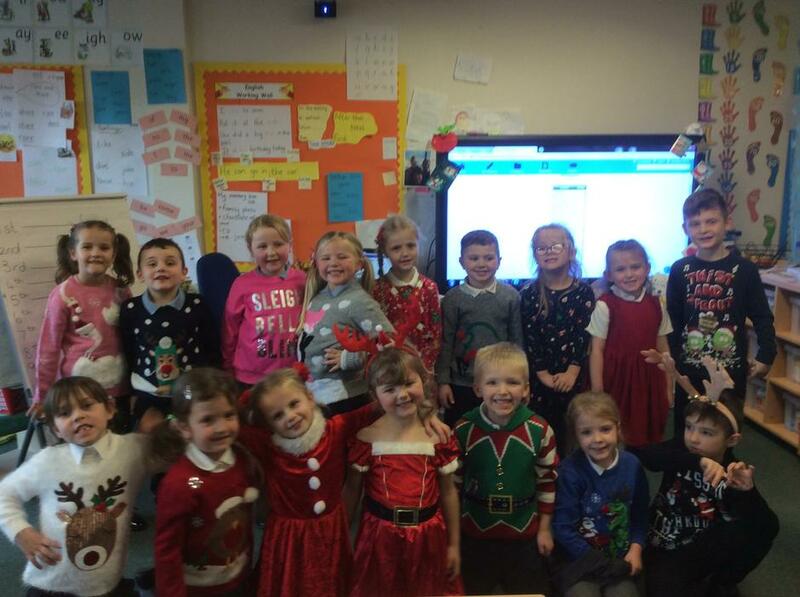 They looked absolutely amazing in their festive jumpers and dresses. Also a mention for Rhea, Euan and Maddison (not pictured), but who also looked amazing. 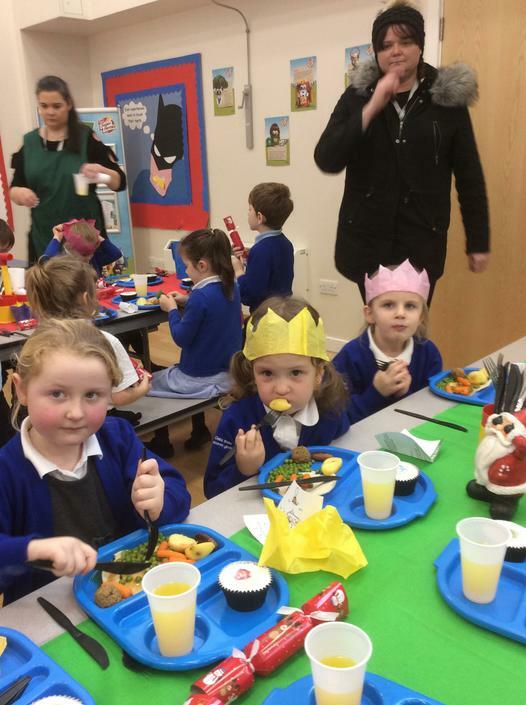 Friday was a special day for us too as we celebrated the children who had achieved 100% attendance through the week and were able to choose a lovely Christmas treat. As you can see from the photo, the treats were enjoyed by all!! Also again a mention for Rhea, Euan and Maddison who also achieved this. The last of the special treats for this week was for the children who had read more than fifty times since September. They enjoyed a lovely afternoon watching Gnome Alone. A super treat for doing all their reading. Thank you to all of the adults at home who have supported the children as this could not have been achieved without your help. Another mention again for Euan and Rhea who also achieved their fifty or more reads. Well done everyone. The children have had an amazing term and they've worked very hard. We've got lots of exciting things planned for after the holidays and the introduction of the new project is really going to go off with a bang!!!. Thank you again for all of your support over the last term and we wish the children and all of their families a very Happy Christmas and we look forward to seeing the children back in school on Tuesday 8th January, 2019. Thank you to all of the adults who supported us at our exhibition afternoon on Wednesday. It was fantastic to see such a great turn out. 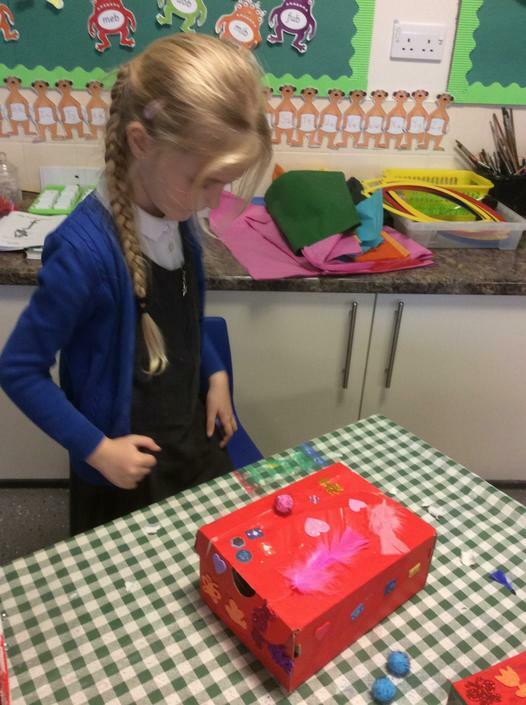 The children enjoyed putting the finishing touches to their memory boxes with you and what a super thing to look back on as they get older. Thank you as well to all who supported us with the Christmas Fair. It was a lovely atmosphere and it was again great to see so many people attending despite the awful weather. 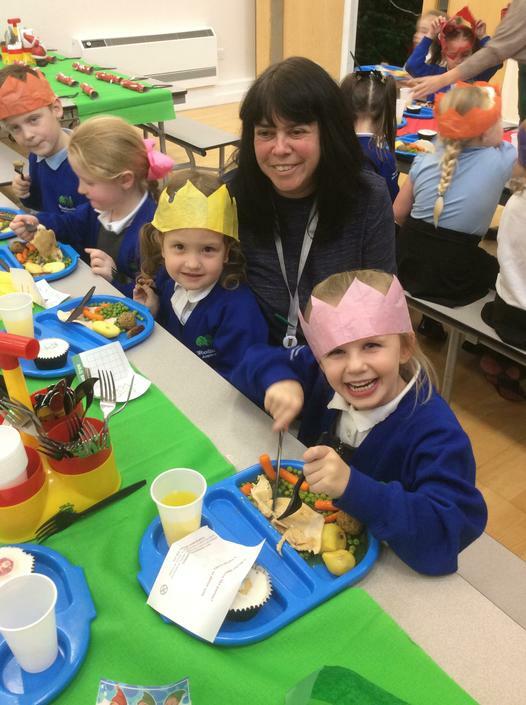 I had a lovely lunch on Friday and we started to get even more into the Christmas spirit as I joined the children to share Christmas lunch with them. They loved the crackers and party hats and the food was delicious and it was such an exciting time. Please remember that it's our Christmas Concerts this week (Tuesday and Wednesday) and it would be lovely if you could join us to celebrate with us. This week's final home work for the project box is to draw round a hand and a foot. These can then go in the box and the children can remember small they used to be. Thank you for all of your support with the things that have been brought in. We've had a bit of a slide with our home reading challenge and we've only got a few children who will get reading stickers this week and we'd love you to help us to get back on track again. There's a bit of a competition going on between the Year 1 and Year 2 classes as to who can get the most stickers each week and we'd love to out do them this week. Thank you again for your support with this, it really is appreciated. The children are working really hard and it's all coming together beautifully. The songs sound lovely and the children sing them really well. Please remember that we would like to have all Christmas jumpers/dresses in school for Wednesday 5th December. Thank you for your support with this. If you have any questions, please let me know. Please come and support us with our Christmas Fayre on Wednesday 5th December from 3.15pm. Lots of games to be a part of and lots of craft things to buy. Look out for me and Mrs Wright selling raffle tickets and hopefully you'll get some lucky numbers. 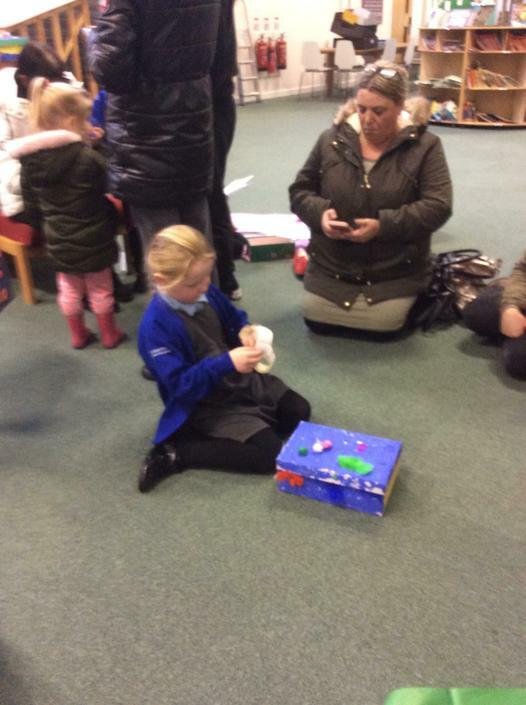 Thank you to all parents who are supporting us with the homework for the memory boxes. We're getting quite a collection of things now. 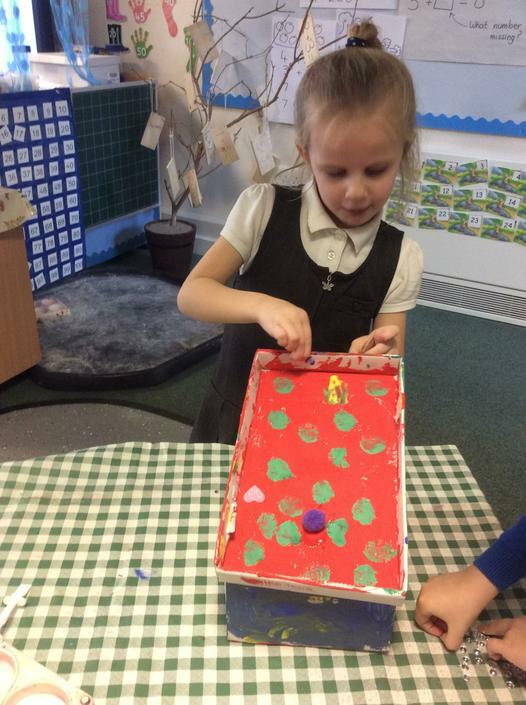 We've started to decorate our memory boxes in school. They already look very special. Please remember our special parent event to finish the memory boxes on Wednesday 5th December. We're starting to learn our song words for our Christmas Concert 'Christmas Counts'. We would like to ask that all children have either a Christmas jumper/dress or clothes in Christmassy colours (red, green, sparkly). A letter will be going out to all parents on Monday. Thank you for your help with this. We had over 98% attendance again this week so another gold star again for us. Great work. The children were again very excited as they watched Mrs Curtiss stick the gold star to the class room door. Let's keep trying for that 100%. Thank you to those children who brought in their toys to be photographed. There is still plenty of time in you've not remembered yet. This week's homework is all about family celebrations...write about it, draw it, email a photo to us (pmountain@woodlands.academy), bring in a photo or maybe a card from the celebration. We're building up our memories to go in our memory boxes. Thank you for your help with this. 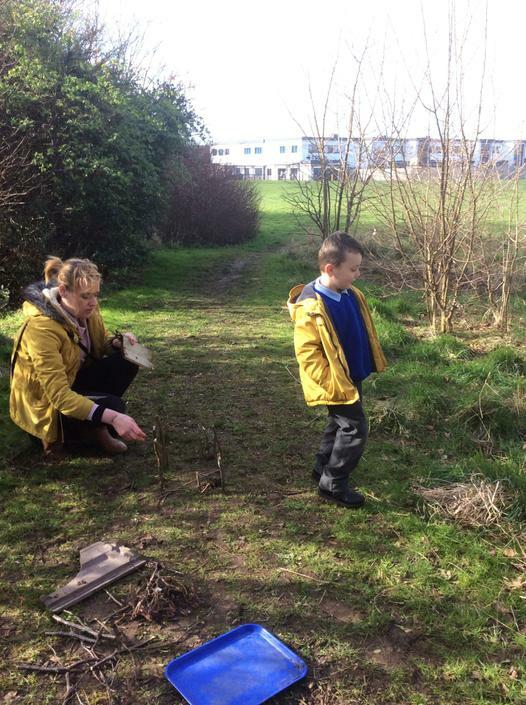 We were looking at features of our local environment this week and we went for a walk around our local area. It was a beautiful but cool afternoon and the children spotted lots of things as we walked round. Behaviour as usual was fantastic. 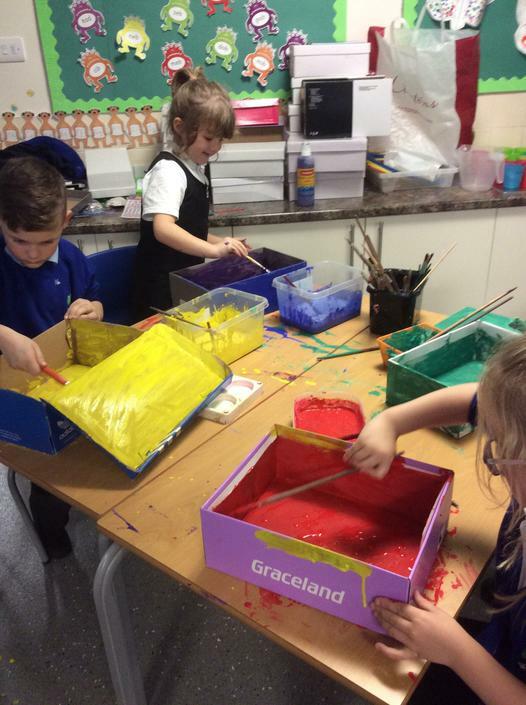 We've got a busy week ahead of us this week as we'll be designing and making our memory boxes. 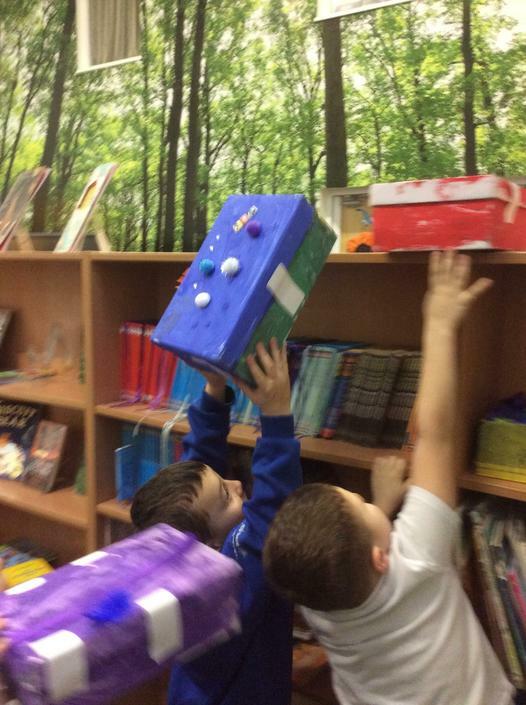 Please remember that we would love you to join us on Wednesday 5th December to put all of our memories into the boxes and place them on our special display. Another great week for attendance with 98%. Well done to Class 1 and let's keep it going. We will win the trophy one week! The children voted last week for their representative from our class. The person who received the most votes was Tillie Martin, with Harper Mason as her deputy. They received badges to wear with pride. We look forward to hearing the news from the school council meetings. 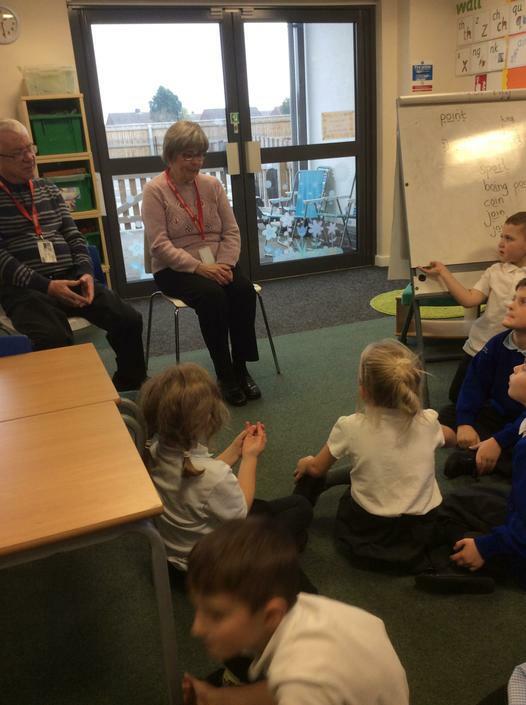 We had some very special visitors in school this week.....my mum and dad. The children asked them some amazing questions and found out lots about my childhood. 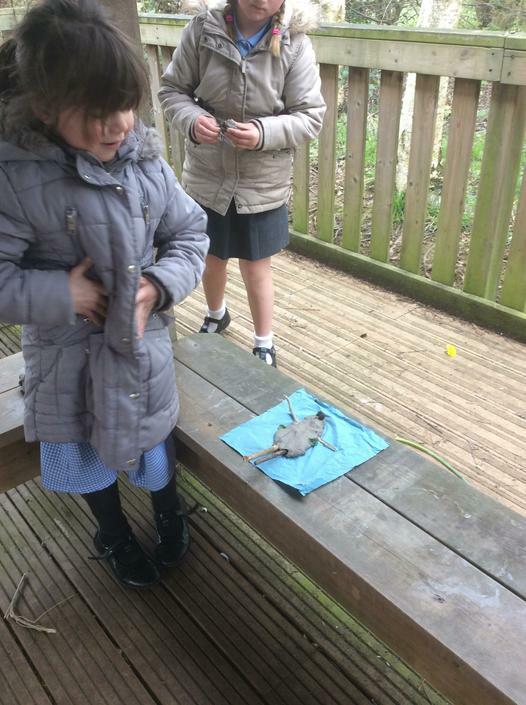 The children were so interested and keen to find out. Another very proud teacher moment. 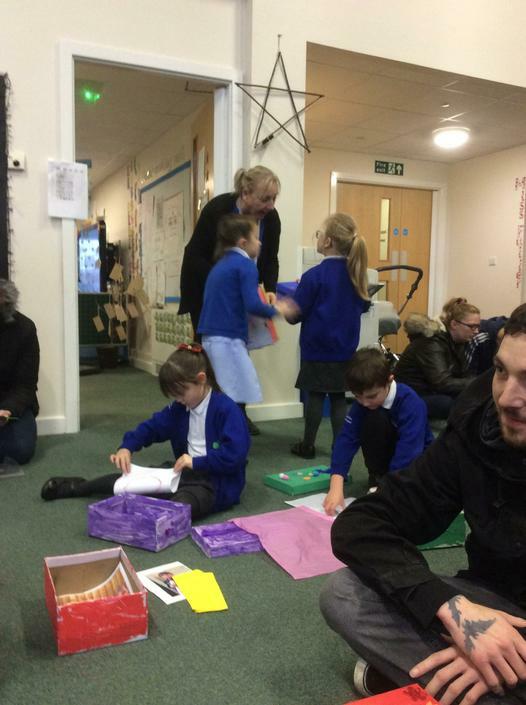 Thank you to all of those children who are completing their homework for the memory box. I can imagine it was really hard work last week, having to eat a packet of sweets!!! 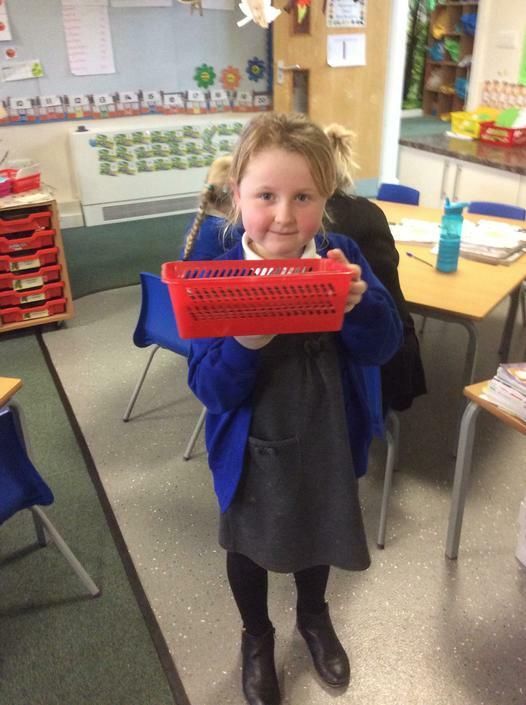 For homework this week, please can the children bring in their favourite toy which we will take a photo of and send home again. The toy will not need to stay in school. Thank you. The children have created some beautiful poppies using their hand prints and these are to go on display in the atrium. We also made poppies by sticking love heart shapes together and we thought about why we were making the poppies. We will be joining the school with a two minute silence at 11am on Monday 12th November. 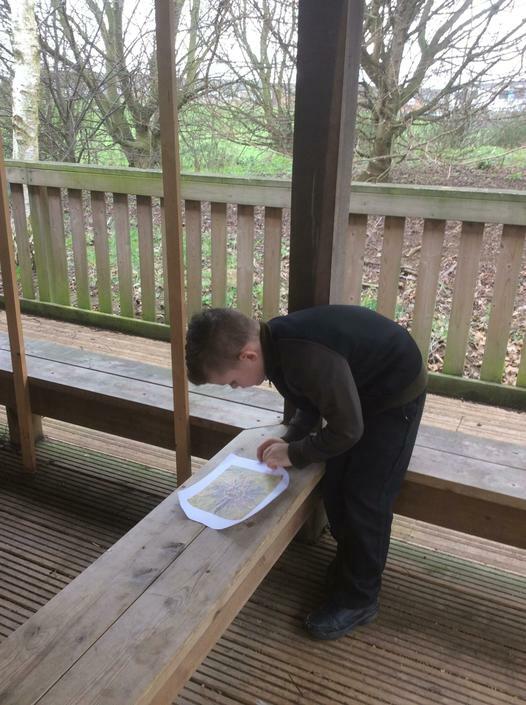 On Wednesday, we will be going for a walk around our local area and identifying some of the features of the local environment. We will then be creating maps from what we have seen. Let's hope that the weather will be kind to us. 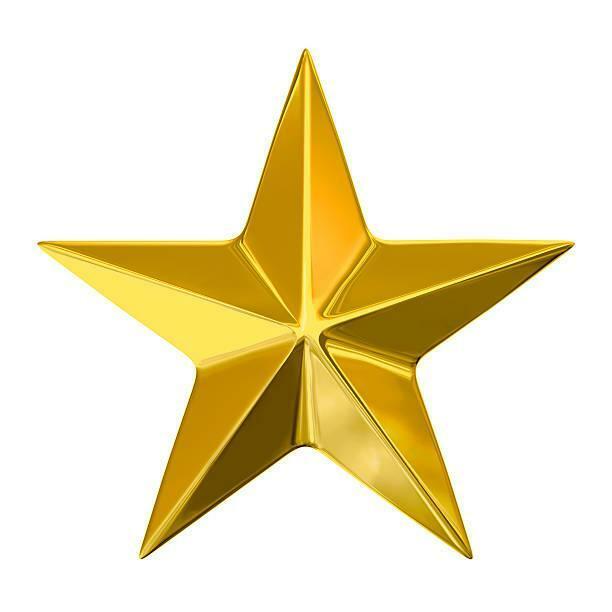 The children have all settled in well after their week at home and we managed to get a gold star for attendance this week so the children were excited about that. Mrs Green spoke to the children in assembly about the school council and asked for a representative from each class. Lots of children put their names forward and we had a class vote on Friday. We will let you know the results this week. 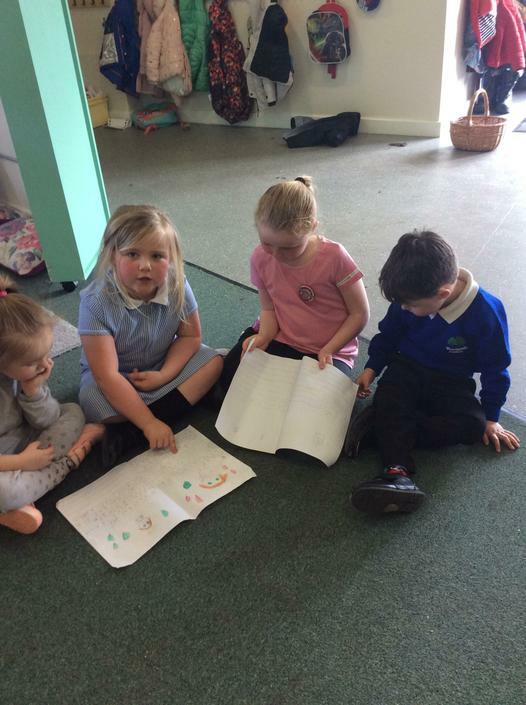 We've got a number of children on our green reading chart which means that they have read four times a week but we would love to see more children getting their 'Fab Fiver' stickers for five, six and seven reads in the week. Thank you for your help with this. Please remember that the children needed to either draw a picture of their family, provide a photo or email a photo into school for last weeks homework. 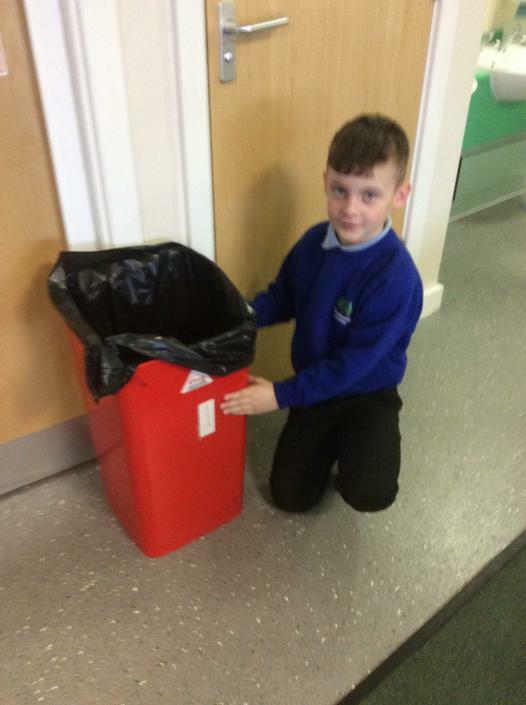 This week, all the children need to do is collect a wrapper from their favourite sweet or chocolate bar and an empty packet from their favourite crisps and bring them into school. All of the items that we are asking for will go in the children's special memory which we will create at the end of the project. Our new project for this half term is 'Memory box' and we will be thinking all about our families and special times. We will be finding out about what we could do as a baby and what we can do now. Listen out for our special visitors who will tell you all about Mrs Mountain as she grew up. We will be thinking about how toys have changed and looking at things in the local environment. Please look out for the special invites from the children for our 'Family tea party' on Thursday 1st November at 2.30 pm. Please keep the homework sheets at home to practice before Friday. Thank you. The children have come home this week with the Christmas cards that they have created in school. Please complete the order form and return to school if you would like to buy some of these. The cards are amazing and the children worked really hard to create them and how wonderful would they be to send out to friends and relations. 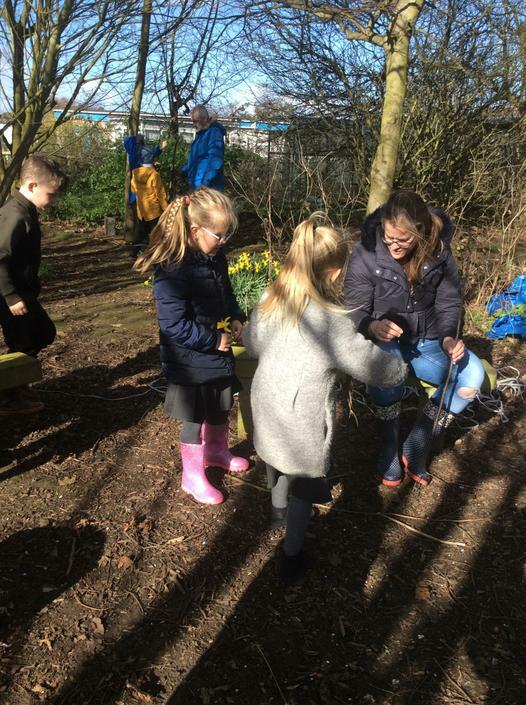 This afternoon (Tuesday) we invited the parents in to join us to see what the children have been doing over this half term. It was lovely to see many parents attending and the children finished the afternoon with some songs and some dancing. Thank you to those parents who shared it with us. What a great time the children are having with their penny war jars. The children have found it really funny and they're definitely getting into the competitive spirit. 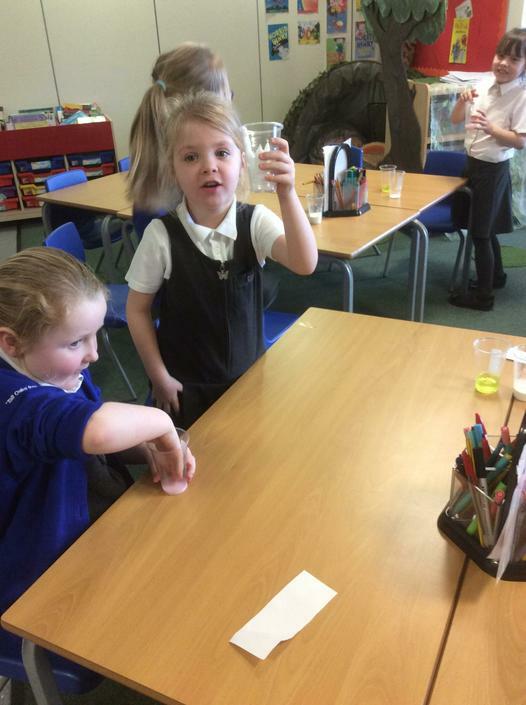 It's certainly been making us laugh as the children are sneaking into other classes and putting silver coins in the jars. Thank you to all who are supporting us with this. What a fantastic idea. We're moving on to a new project after the half term holidays. We're having a special event on Thursday 1st November and we'd love for you to attend. 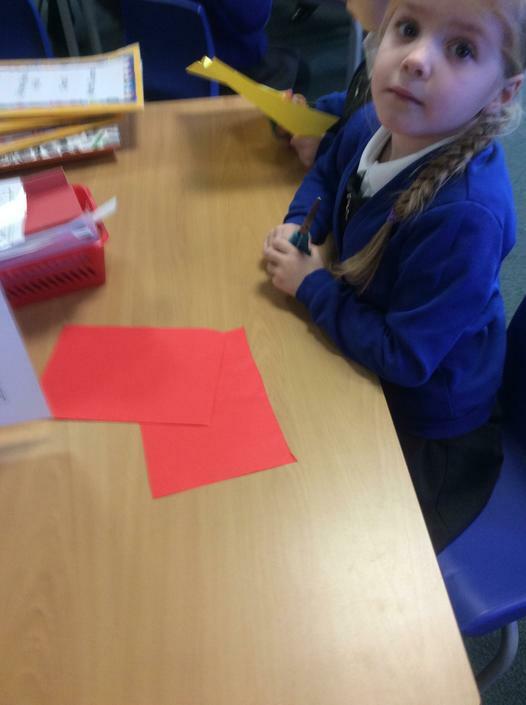 The children will be writing a special invitation for you after the holidays so keep a look out for that. Thank you again for all of your support over the last few weeks and we're so proud of how the children have settled into their Year One class and we're looking forward to lots more exciting things after the holidays. Class 1 were all awarded their official zookeeper badges last week and they wrote some fantastic instructions about being a zookeeper. I was so proud of the work the children produced. 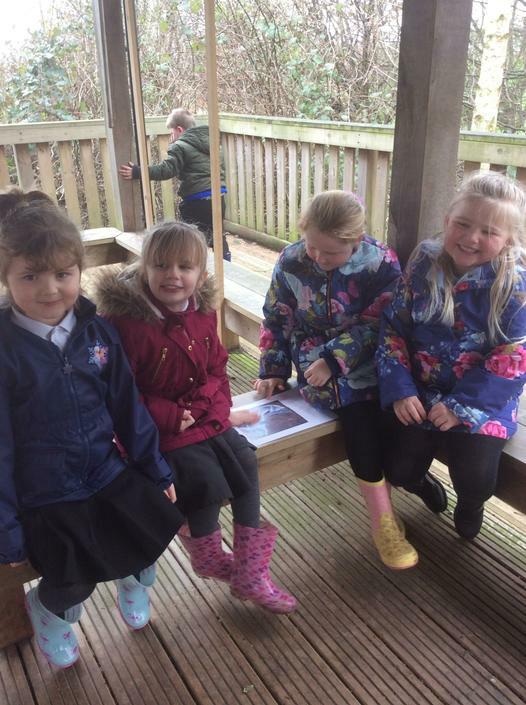 We found out about what our pets liked to eat and we went over to the wildlife area to see if we could find our animals a suitable home. We had some great smiles for our photographer on Friday and it will be lovely to see the final photographs. Thank you to all of the parents who attended for parent's evening. 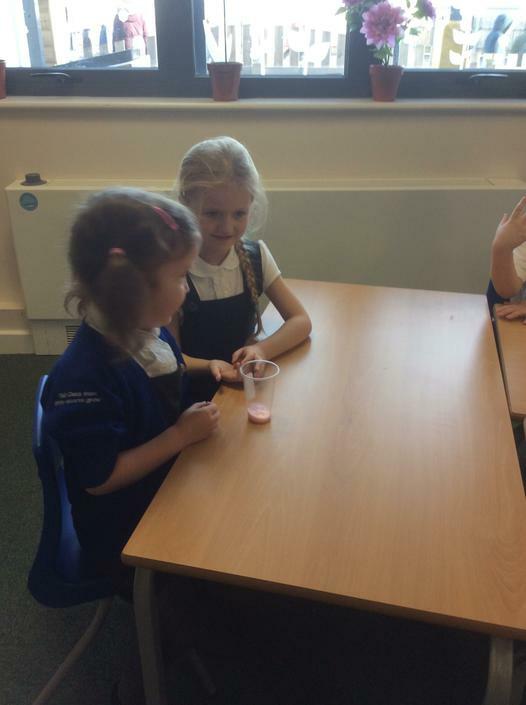 It was great to let you know how well the children have settled into their Year 1 class. 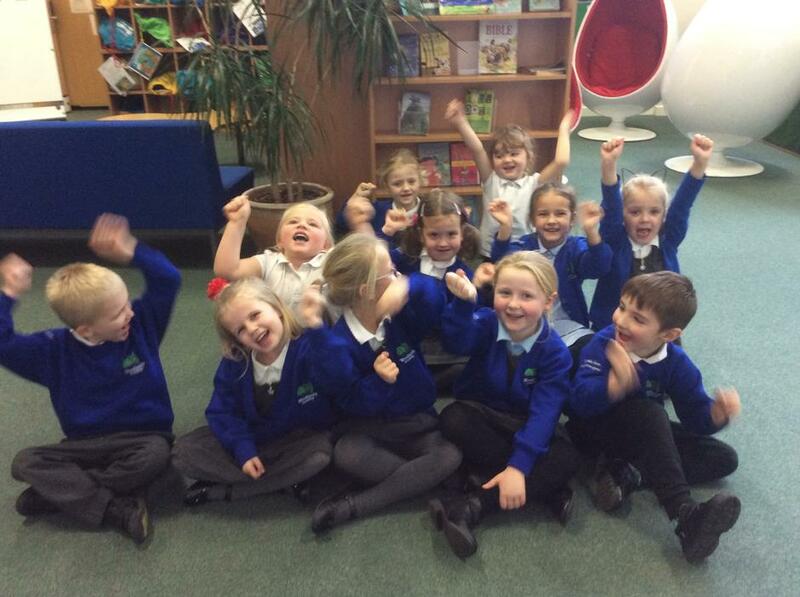 I was really pleased with the amount of children who were 'green' readers this week. This means that they have read four or more times each week. 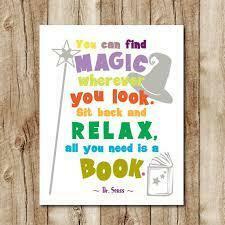 Please continue to do this as it is really beneficial for the children to be reading on a regular basis. Thank you for your support with this. These will be tested on Friday 12th October. Thank you. 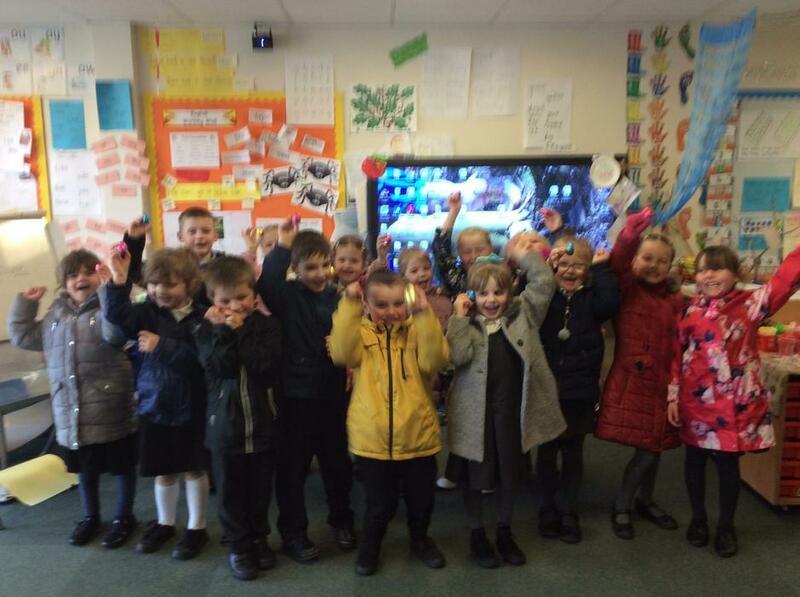 What another fantastic week we've had in Class 1. 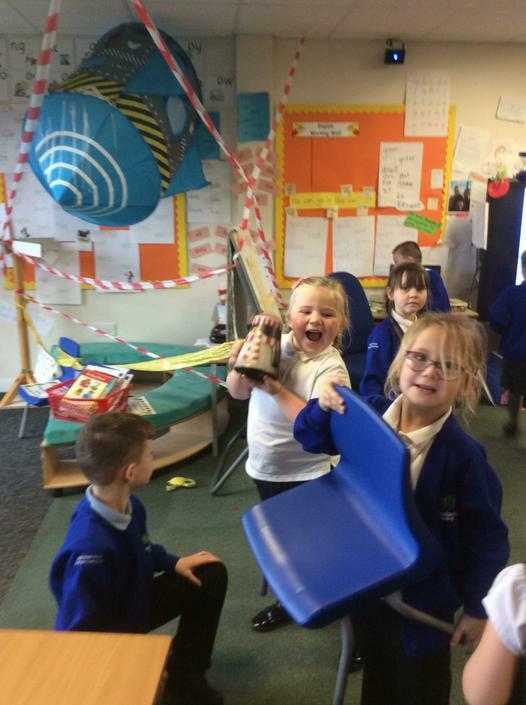 Something strange happened in the classroom and a bottle of magic dust appeared. It turned us all into zookeepers so we could find out about the jobs that a zookeeper has to do in their day. 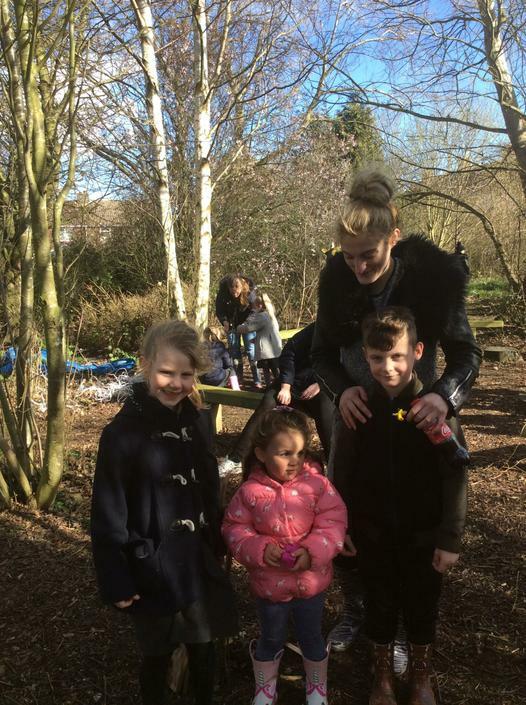 The children were amazing zookeepers although I was a bit worried when lots of them said that their best job of the day was cleaning up animal poo!! We're going to be looking at the writing a list of instructions this week. We might see if other children in the school want to take it on as a job when they've read what they have to do!! Thank you to all of you who have helped your children to be 'green' readers and an extra thank you to those children who were a 'fab fiver'. It is really important for the children to be reading regularly at home and we'd love to see more children becoming 'green' readers each week. The children are still desperate to have their hands on the attendance trophy (well probably more the sweets that are in it!) so please may I remind about how important it is to have children in school and at the correct time. Classroom doors are now open in a morning from 8.40am. Thank you for your help with this. Please complete the sheet that comes home with the children each Monday and then keep the sheet at home to have a go through the week. The children will have a fun spelling test on Fridays. Thank you again for your help with this. What a fantastic and busy week we had last week. 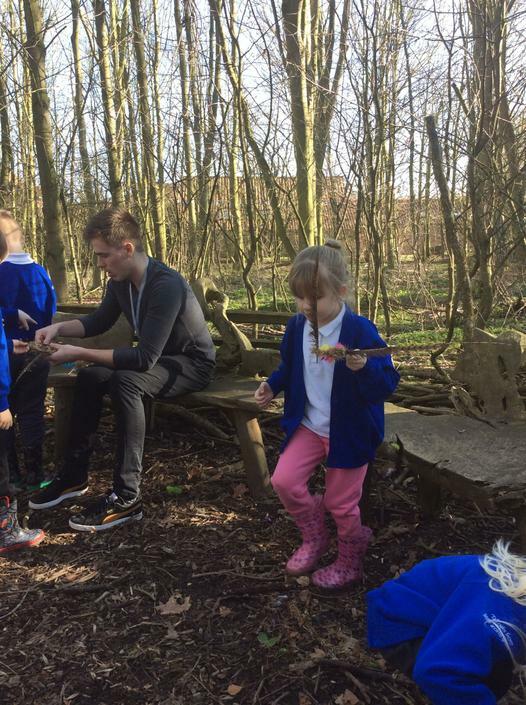 We went over to the wildlife area to look for butterflies and then we wrote all about it. We've been looking at 1 more and 1 less in our maths. We've been looking at a map of the world and finding out which continents different animals come from. We did some great singing in music and I do apologise if the children came home singing Hey you!. It was so catchy. Children are now going to be having a little spelling test on a Friday. 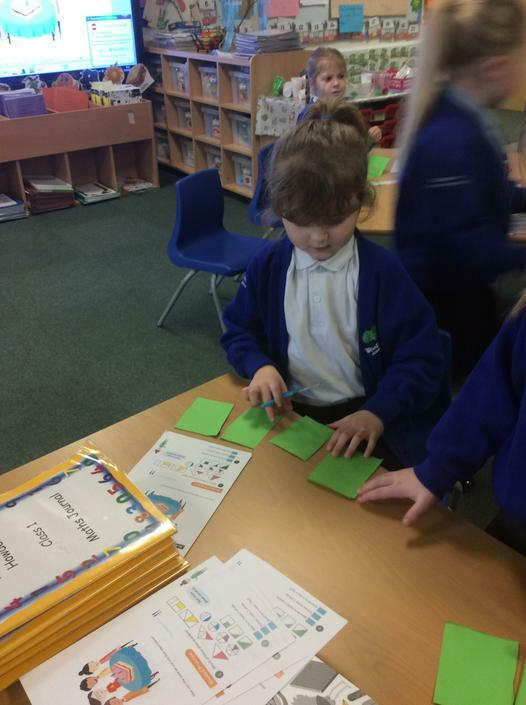 They will bring home a sheet with their weekly spellings on which will allow them to practice their spellings by copying the words and then covering them over to check. Please have a go at these with your children through the week. Please continue to read with your children at home. We'd love for everybody to read four times a week and be a 'green' reader. 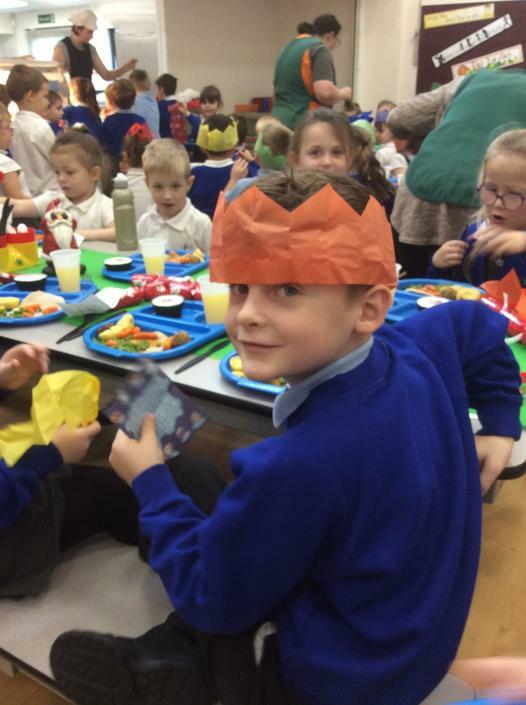 If your child reads 5 or more times then they will be a 'Fab Fiver' and will receive a special sticker in assembly. The children are desperate to win the enormous attendance trophy and let's see if we can go for it this week. Thank you for your support with all of the above. Your support is always greatly appreciated. A very big welcome to Class 1 and Mrs Mountain and what an exciting term we've got ahead of us. 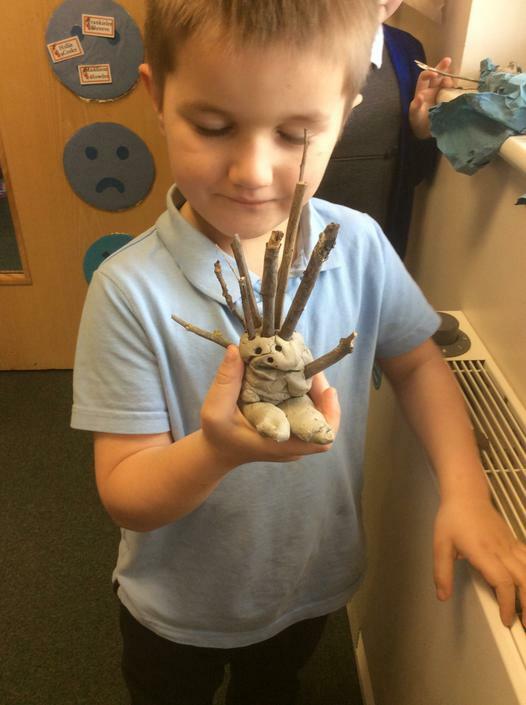 Our project for this half term is 'Paws, Claws and Whiskers'. 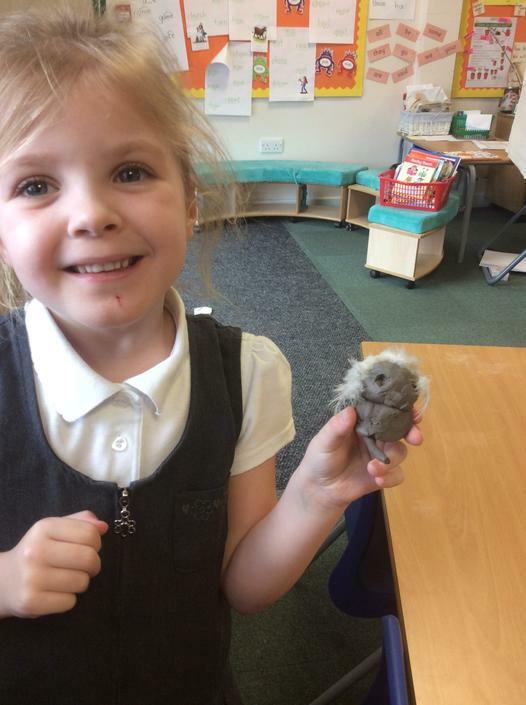 We're going to be learning all about different animals, where they live and what they eat. We started our project with a trip to The Jungle Zoo in Cleethorpes where all of the children had a fantastic day and were very well behaved. We listened to the zookeeper telling us about the different animals. We all thought the meerkats were rather cute, the tortoise was enormous, the monkeys were very naughty and we weren't too sure about stroking the snake! The children will come home with a Look, Cover, Write, Check sheet which we would love you to practise with them through the week. Children will then have an activity sheet to complete in class on a Friday. Our PE days are Mondays and Tuesdays so children will need to have their full kit in school for these days (t-shirt, shorts and PE shoes). Can we please ask that all earrings are removed before school. Thank you.